In this short HP 15-F222WM review, we will have a look at one of the latest entry level laptops from HP. Before I begin, let me address the elephant in the room: is this laptop good enough for programming? The short answer is No. The complete answer is a bit more complicated. We will have a look at the hardware, features and other specification of this laptop. We will see how it compared with the other laptops of the same price category. Furthermore, we will have a look at how this laptop can serve you and how it can be used for programming. 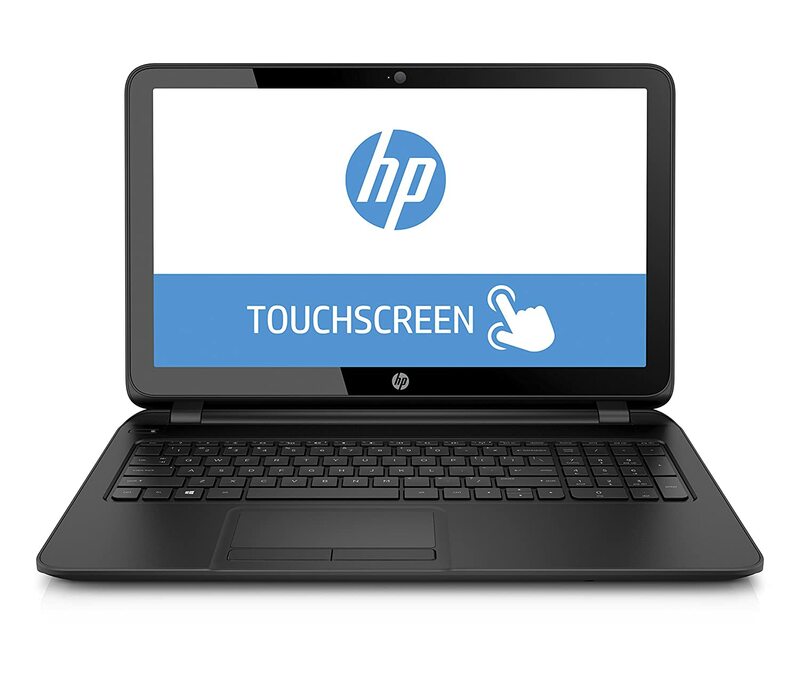 It is the aim of the HP 15-F222WM review to highlight all the necessary information regarding this laptop. This would help you in making the correct decision in the end. Since HP 15-F222WM is a budget laptop, you cannot expect the hardware to be of top grade. The hardware on this laptop is decent enough for casual work like word processing, preparing excel sheets, surfing the internet, etc. Starting with the processor, this laptop offers Intel Pentium Quad Core N3540 Processor. This is an entry level processor that has a base speed of 2.16 Ghz per core. It can boost itself to a maximum of 2.66 GHz per core depending on the work. Although the numbers look good, this is still a weak processor. Even if you were to compare this processor with an Intel Core i3-6100U processor, the Pentium processor significantly lacks in performance. You can read about the benchmarks comparing both the processor here. So what is this processor useful for? Well, Intel Pentium processor may not be on par with the “i” series processor, they are still much better than the Atom or Celeron processors. Whereas Celeron processor shows lag in even basics of tasks, Intel Pentium can easily handle them. If you want to perform everyday work without any hassle, then this is the processor to go for. For the price of HP 15-F222WM, this is a relatively nice processor to have. One of the positive aspects of this laptop is the 15.6-inch display. Although it only an HD screen, the touch functionality adds another dimension to the utility of the laptop. For a budget laptop, a touch screen is a most welcome addition. Although a touch screen is not a necessity, if you are operating Windows 10 you will enjoy having the touchscreen functionality. Unfortunately, this laptop only offers 4 GB of RAM. This is not near the recommended amount of RAM for efficient work. If you are considering programming, designing, or other professional work, we recommend a minimum of 8 GB of RAM. However, 4 GB of RAM is quite sufficient for multitasking everyday work. This is a budget laptop. So, of course, it quite lacks regarding graphics power. If you are expecting to play games, then you will be quite disappointed. This laptop is not remotely suitable for gaming. It does not have a dedicated graphics card. The integrated Intel HD graphics is only good enough for browser games. This laptop has to all the necessary ports to help you easily interface with other devices. It does lack a VGA port; however, it compensates for it by having an HDMI port. Additionally, this laptop also offers a Built-in Webcam with an integrated microphone. The battery life on this laptop is not extraordinary, though. 5 hours of battery life is quite the decent amount; however, other laptops can offer much more. To answer whether HP 15-F222WM has a great value of money, we need to compare it to other laptops of the same price category. Taking some of the closest laptops in the class like the Lenovo IdeaPad110, or the ASUS VivoBook X540SA , HP 15-F222WM has a relatively decent value. The only closest competition to this laptop is the ASUS VivoBook X540SA . They both are fairly great laptops; however, none of the laptops out there manages to fit a touchscreen in this price category. Therefore, HP 15-F222WM is, hands-down, one of the best laptops in this price category. I would highly recommend it. Is It Suitable for Professional Tasks? Absolutely not! If you are thinking of using this laptop for tasks other than word processing or internet surfing, you will be disappointed. Can you program and code? Most certainly you can as long as you know the limitation of this laptop. For simple coding, you can use this laptop. However, you will soon discover the shortfalls of the laptop once you debug or render your program. It should be evident from this HP 15-F222WM review that this is not a laptop for heavy tasks. If you are looking to get a laptop for low-level work, then go for it. It is perfect for students on a tight budget. It is also perfect for casual work. Do not buy this laptop if you are expecting to game or work on professional projects.